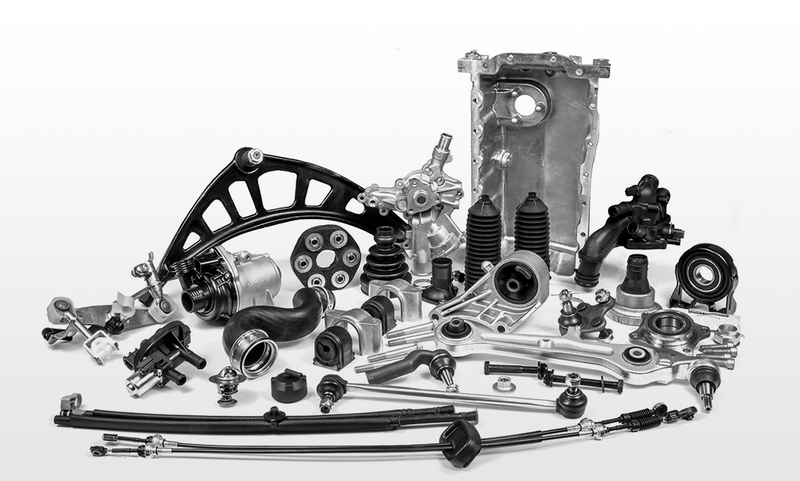 Our mission is to supply premium quality products to the Global Automotive Aftermarket. We partner with many of the world's leading manufacturers and have established long-term relationships to ensure that the quality, depth of range and accuracy of application can be consistently delivered. 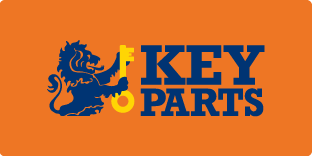 Today, we are proud to offer a market leading range of over 37,000 references across 60 different product lines. When it comes to new to range, we are committed to being 'first to market' and with an average of 150 references being added each month, you can be confident that we will have what you need, when you need it. 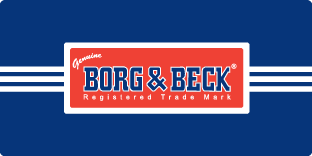 Scroll down to find out more information on our products available in our First Line brand or alternatively visit our Borg & Beck website to see the full list of products available in our Borg & Beck brand, including Braking, Clutch, Filters, Rotating Electrics, Wiper Blades and CV components. 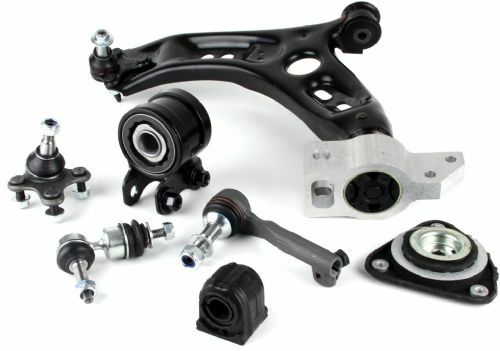 Offering a premium quality programme of Steering and Suspension components that are designed and manufactured to the highest of standards. By using First Line you are guaranteed a quality product sourced from ISO accredited production facilities, coupled with a total commitment to optimum performance and safety, providing a comparable alternative to OE and other top tier suppliers. The extensive range of over 8,500 references includes Suspension Arms, Tie Rod ends, Axial Joints, Stabiliser Links (including Heavy Duty), Top Strut Mounts and Strut Protection, King Pins, Engine Mountings and a wide variety of Bushes. 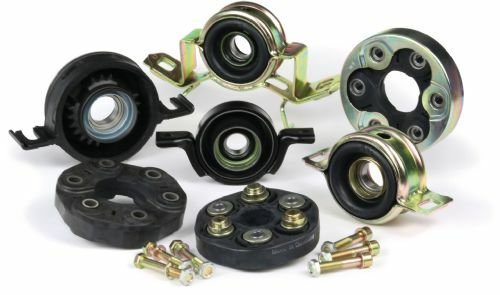 All Ball Joints, Link Bars and Suspension Arms in the First Line range, where applicable, come with the necessary fitting components as standard to ensure a hassle free installation. First Line is committed to match OE quality. Therefore, when vehicle manufacturers use new technologies such as Hydraulic Bushes and Hybrid Link Bars the First Line reference will follow the same OE specification. 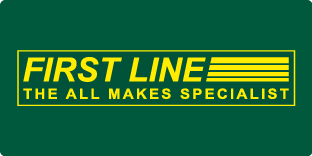 First Line is an established world-wide supplier of premium quality automotive components to the vehicle aftermarket offering a comprehensive range of Cables to the aftermarket including Brake, Clutch, Accelerator, Speedometer and Gear Control Cables. All Cables are manufactured to the highest of standards and undergo rigorous testing to ensure premium quality, reliability and long life. Layout drawings are available within the catalogue to aid identification and accurate look up. 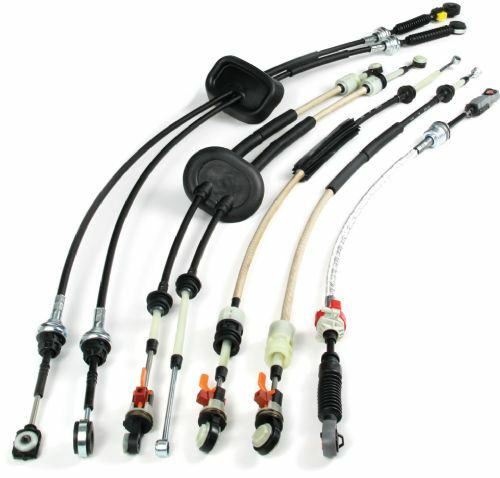 First Line has identified a requirement for premium quality replacement Gear Control Cables for cars and light commercial vehicles in the aftermarket. Traditionally a dealer only part, First Line offers their customers an additional profit opportunity for the independent sector. 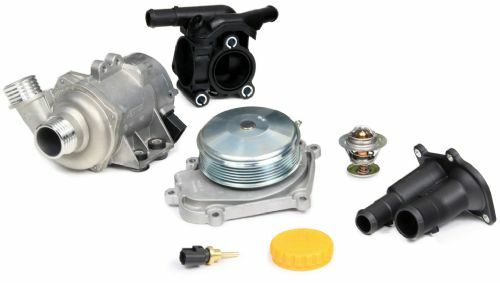 Offering an extensive range of over 1,600 premium quality Cooling products consisting of Water Pumps, Thermostats, Thermostat Kits, Switches & Sensors, Coolant Flanges and Radiator Caps. 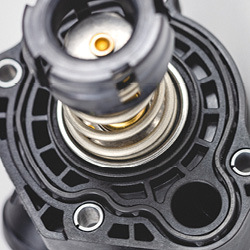 In the quest to reduce engine emissions, there is a growing trend among vehicle manufacturers to use electric Water Pumps instead of, or alongside, their traditional belt driven counterparts. As a major player in the cooling sector, First Line has therefore reflected these market developments with the addition of Electric Water Pumps (Primary and Auxiliary) into the comprehensive Cooling programme. First Line has an extensive range of Thermostats covering all ages of the vehicle parc from straight forward pressed Thermostats to the technically advanced computer controlled variable Thermostats. Some are supplied as ‘bare’ stats and others are supplied in housings which always follows the OE. 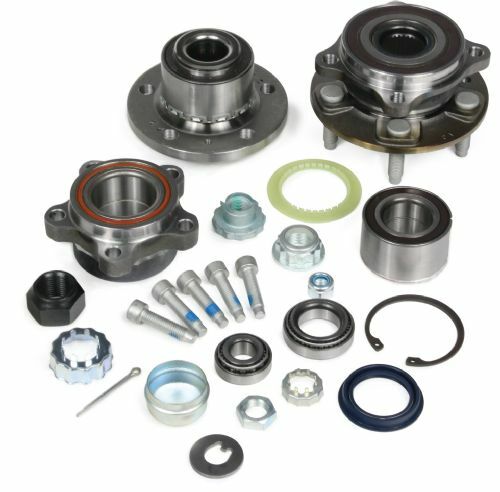 Offering a market leading range of Wheel Bearing Kits consisting of over 1,000 references and a commitment to keeping the range up to date with not only with new model applications but also new technologies, such as the latest generation of Bearings, you can be sure that First Line is the right choice for you. More importantly, First Line provides complete kit solutions rather than single bearings, meaning, as standard, kits include additional components which may not be included in the Original Equipment or competitor equivalent. Our comprehensive catalogue contains technical data, cross references, images of kit contents and now, pictorial identifiers for vehicle models; all of which enables ease of identification and installation. 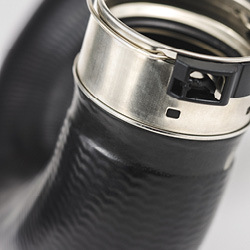 Traditionally a Dealer only product, First Line now enables its customers to source their Turbo Hoses from the independent aftermarket, which not only means that a significant amount of time can be saved but also cost. 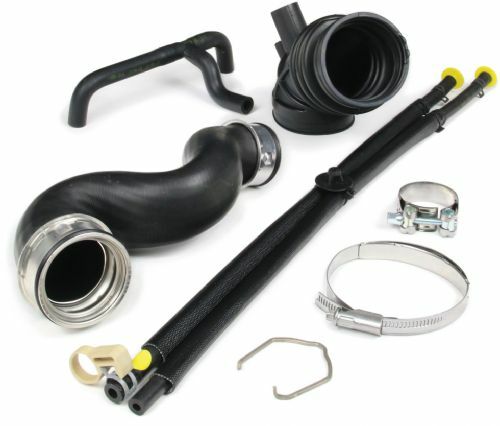 The comprehensive programme of over 600 references include; Air Filter Hoses, Turbo Oil Hoses, Emission Control Hoses and Intercooler Hoses. 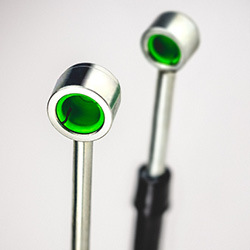 The range uses OE connectors and is manufactured using only premium quality rubber ensuring performance and longevity. The First Line team have produced technical layout drawings to aid in the identification process and accurate look up, therefore you can be confident about sourcing the part you need. To supplement First Line’s range of OE specification Turbo Hoses, a range of over 35 premium quality Hose Clips are also available. 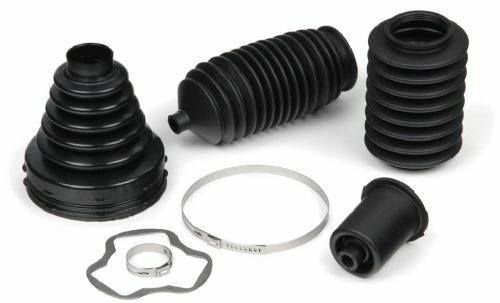 First Line offers a comprehensive range of premium quality CV Boot Kits which are designed to be a direct replacement for the original parts. All kits include the necessary securing ties, CV joint grease and where necessary, additional components required for fitment. A range of Universal Stretch Boots is also available from First Line. This short range reduces stock holding whilst covering the majority of the vehicle parc; These also have the added benefit of easier installation and reduced fitting times for the installer. The Universal Boot range is designed to be used in conjunction with the fitting tools which are also available from First Line. First Line also offers ranges of both vehiclespecific and universal Steering Rack Gaiters. 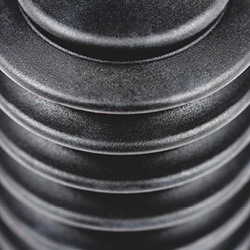 We offer a comprehensive portfolio of over 900 rubber and hydraulic Engine Mountings, we are committed to keeping the range up to date with not only new model applications but also new technologies, such as the latest design of electronically controlled Hydro Mountings. 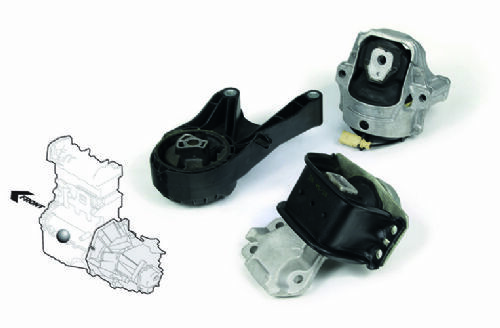 When it comes to Engine Mountings, product identification can be quite challenging as there are 39 different Engine Mounting positions for both 'in line' and 'transverse' layouts. Therefore, to enable the accurate look-up of an Engine Mounting, we have released easy to identify layout diagrams for every single reference, offering our customers a market leading solution. 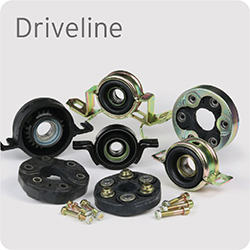 Offering a comprehensive range of Driveline components featuring Propshaft Couplings and Centre Support Bearings. The range provides a cost effective repair option for light commercial, rear-wheel and four-wheel drive vehicles. Drive Couplings absorb vibration from the propshaft, which not only reduces noise, vibration and harshness in the passenger compartment, but also protects the other Driveline components. 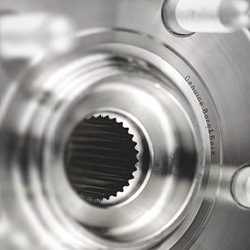 Propshaft Centre Bearings support the propshaft ensuring correct alignment within the drivetrain is maintained. A worn bearing can lead to vibration, damage to other components and can potentially cause premature failure to the propshaft. The First Line range is manufactured using only premium quality bearings and rubber which have been carefully sourced from ISO accredited manufacturers. 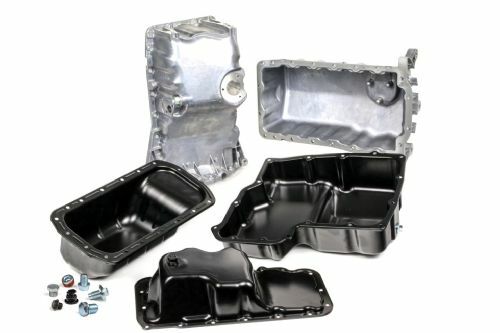 With the prevalence of pot-holes and speed bumps now common on our roads, Oil Sumps are becoming a common failure point due not only to impact damage, but also corrosion – especially where the protective finish has been damaged leaving bare steel exposed to the elements. First Line offers a range of 10 Oil Sumps that cater for the most demanded applications from the market place, such as the aluminium VAG 1.9TDI version (available with and without the oil level sensor provision) and the very common Fiat 500 / Vauxhall Corsa 1.3TD product. The range is manufactured using aluminium or steel construction depending on the OE fitment, with all steel sumps having a powder coating to ensure longevity and extra resistance against corrosion. Alongside this is a range of 7 Sump Plugs, which are available to buy separately, including the popular patented plastic sump plug for VAG Golf, A3 and A4. 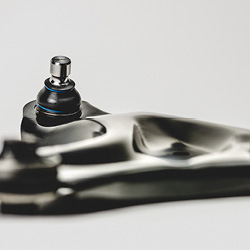 We are committed to providing customers with the best possible solutions for parts that are either hard to source or not available as individual component items. 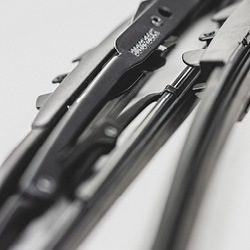 With this commitment in mind, we work closely with technicians and industry professionals to introduce suitable short ranges, such as the gear linkage assemblies for Vauxhall/Opel applications, which are a regularly failing product but typically believed to be a dealer only part.